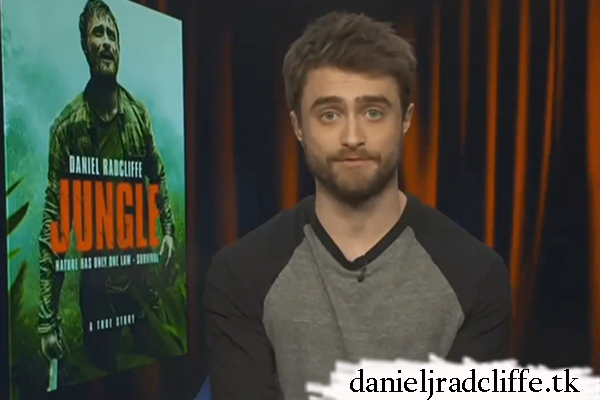 From the Jungle press day today: Interviews with Daniel via satellite. Katie Wilkinson shared this photo on Instagram. With TIME, he talked about the Harvey Weinstein scandal. Update: 24th October 2017. FOX 29 News Philadelphia clip - Chestnut Hill Harry Potter Festival. Update: 1st November 2017. Hollywood Outbreak clip and FOX 411 News. Update: 2nd November 2017. Tampa Bay's Morning Blend. Update: 23rd June 2018. 8TV News. WGN Morning News (I already shared a clip on Facebook). ET Canada - Harvey Weinstein clip. Hollywood Outbreak - leaving Harry Potter behind. Google+: Jungle featurette "Becoming Yossi"